While there isn’t a proven definitive cause of asthma for every asthmatic, researchers have discovered a link between asthma and wet basements in Sterling Heights, MI . 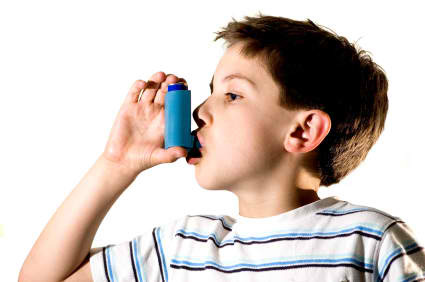 Approximately 34 million Americans have been diagnosed with asthma and an estimated 300 million worldwide. The Center for Disease Control and Prevention estimates 15% of people with asthma developed the disease, or saw it get worse, in a damp indoor environment. This study was specifically talking about workplace exposures. In studying the indoor environment, they found a link between a damp work environment and exasperated asthma symptoms in people with existing asthma. They also studied new-onset asthma and found people who started developing symptoms or saw worsened lung function happen to work in a damp environment. The Institute of Medicine published a study that ties asthma to dampness in the home. This study, “Clearing the Air: Asthma and Indoor Air Exposures,” reported that dampness in a home may lead to the development of asthma and there is a significant association between damp indoor spaces and asthma attacks. Also a German study, published in the journal Thorax, found that dampness – long associated with wheezing and coughing – is also a risk factor for asthma. These researchers also found a correlation between indoor dampness and an increase in two of the top known asthma triggers: mold and dust mites. Most people know mold flourishes in a wet environment. Mold and mildew need moisture to survive and to grow. Molds are microscopic fungi that create tiny spores to reproduce. Mold spores float through the air continually. When mold spores land on damp places indoors, they begin to grow. It is these mold spores in the air that trigger asthma attacks. In 2004, the Institute of Medicine (IOM) of the National Academy of Sciences found evidence that suggests the link between mold and the development of asthma symptoms in children. There was a more recent study out of Scandinavia in 2010 that challenges those findings saying that mold may not be as big a factor as other indoor chemicals and pollutants in asthma development in children. However, they agree mold does trigger asthma attacks and asthma symptoms and indoor dampness also impacts people with the disease. Building science researchers and any pest control professional will tell you when you dry the basement environment you can control the infestation of pests and decrease dust mites. Dust mites are tiny bugs that live in dust and feed on flakes of human skin. According to the Environmental Protection Agency (EPA), body parts and droppings from dust mites can trigger asthma attacks especially in people with dust mite allergies. It has also been suggested that exposure to dust mites can cause the development of asthma in children. Using a dehumidifier and keeping the relative humidity level at 50% or lower is one suggestion to control dust mites. According to a study of Indoor Dampness, Biological Contaminants and Health by the Lawrence Berkeley National Laboratory, if the relative humidity of the air is maintained below approximately 50% for an extended period, dust mites will not survive. As humidity increases mite levels tend to increase. Almost all dust mite studies reported similar findings: An increase in relative humidity equals an increase in dust mite allergens. According to the research, if you eliminate moisture in the home you can eliminate two of the leading asthma triggers. However, the study “Clearing the Air: Asthma and Indoor Air Exposures” also concluded dampness itself may trigger or exacerbate asthma symptoms. Researchers have not confirmed if dampness alone can cause asthma or if dampness merely causes an increase of asthma triggers. Either way there is definitely a link between wet basements and asthma. Controlling moisture problems in the home can reduce the risk of asthma.